There’s nothing more soothing than a floral design to define the interiors of your bedroom and help you relax, which is why you should grab this wall sticker from Aquire, and lend your private space a refreshing appeal. 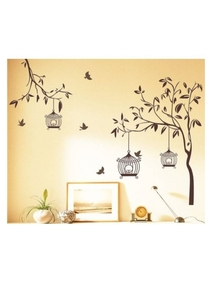 PVC Vinyl As this wall sticker is made from PVC vinyl, it is waterproof, and hence durable. Colourful This huge wall sticker not only has flowers to brighten up your room, but it also has birds and butterflies to add to the decor. There’s nothing more soothing than a floral design to define the interiors of your bedroom and help you relax, which is why you should grab this wall sticker from Aquire, and lend your private space a refreshing appeal. PVC Vinyl As this wall sticker is made from PVC vinyl, it is waterproof, and hence durable. 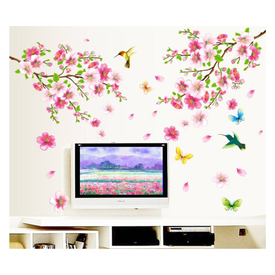 Colourful This huge wall sticker not only has flowers to brighten up your room, but it also has birds and butterflies to add to the decor.